This is probably my most favorite feature. if you are running low on battery and not able to charge you phone, you can simply convert your phone to old school black and white phone and increase the standby time days. The Best part is you can choose which application you want to keep working. 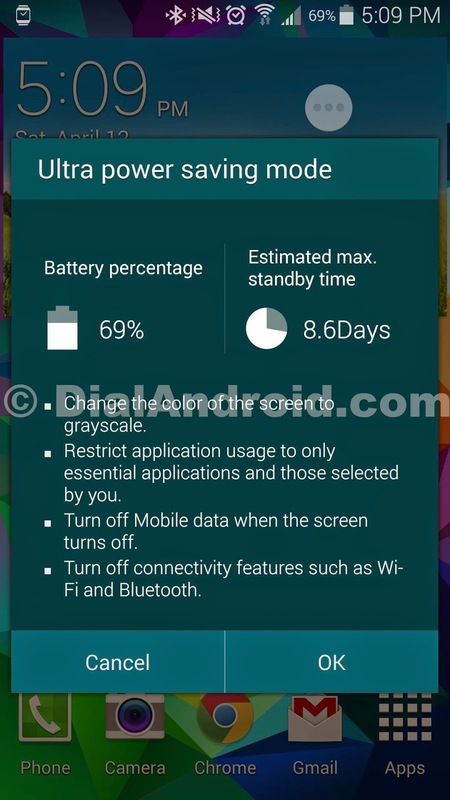 To Activate Ultra Power Saving Mode - Drop down notification panel and click on ultra power saving Icon. 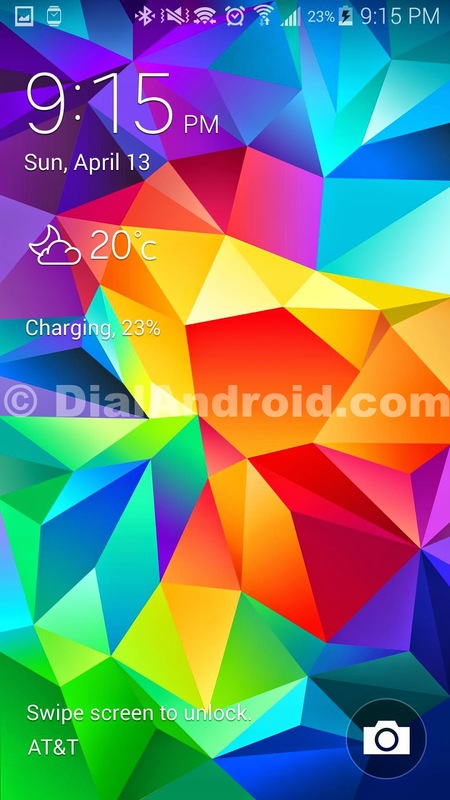 You can add extra application to Ultra Power Saving mode by touching on "+" sign when you switch on the mode. There is a slide change from other Galaxy Models. In Galaxy S5 Left Touch Button is no more the Menu button only. 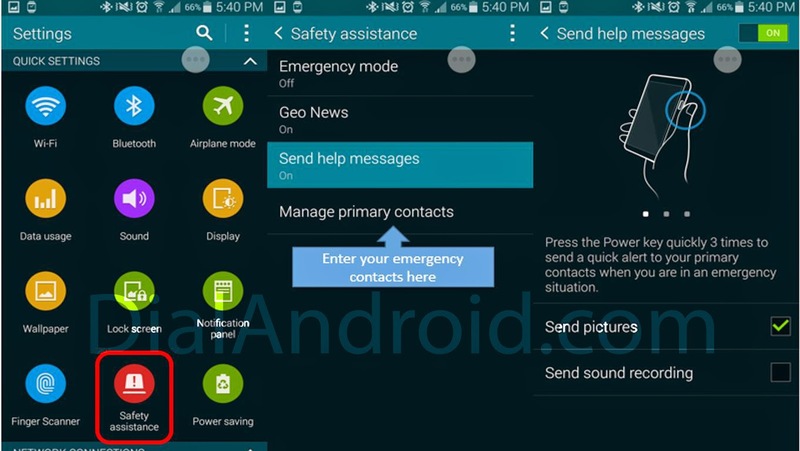 This feature allows you to send SOS message to preset numbers in case of emergency. Text message will be send to preset contacts with your GPS location and Sound clip & camera images if you choose to. EMERGENCY Can be declared by pressing Power key three times.With in few seconds your preset number will receive SOS message with your GPS location and front and rear cam pictures. 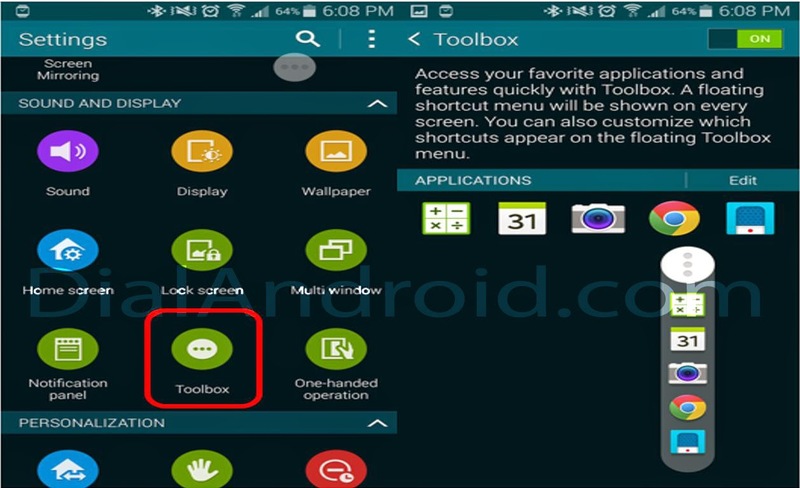 One touch tool box is an optional 5 shortcut drop down which can be used to quickly accessing the Apps from anywhere in the phone. 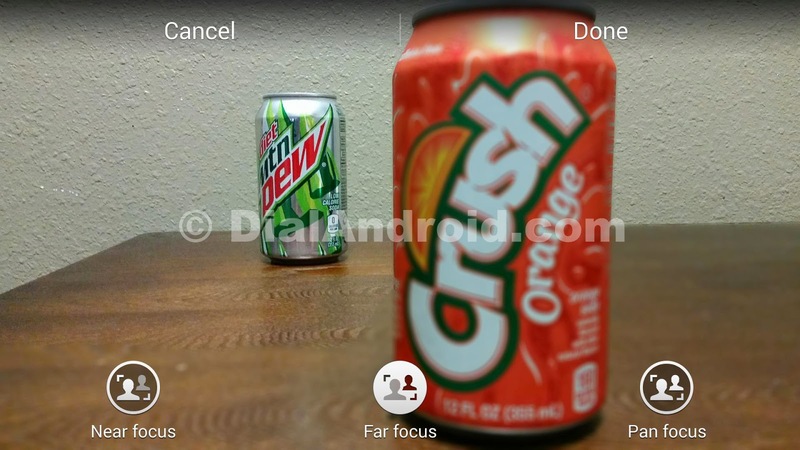 This option will be show a semi transparent circle on screen. Once you touch it, it will show 5 preset apps shortcuts. 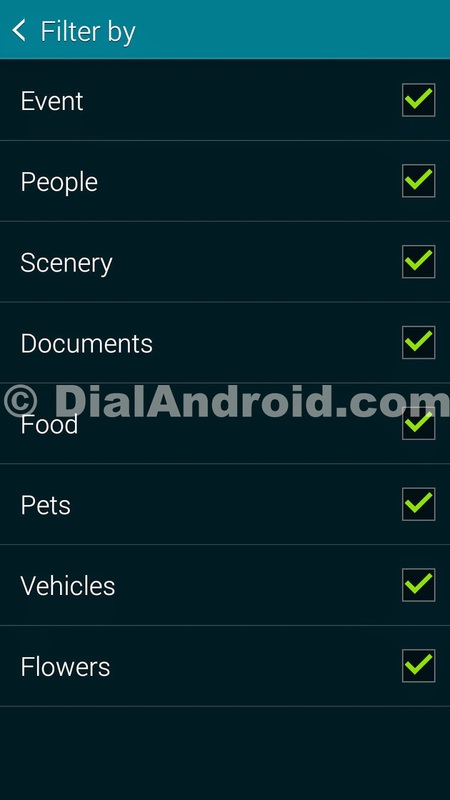 These can be enable using settings or dropping down notification area to access shortcuts. 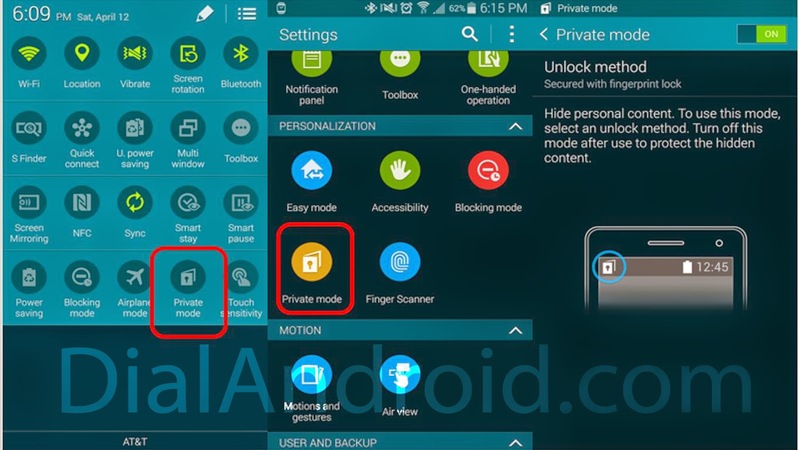 Private mode is very useful if you want to protect some of your private contents to you only. You can setup fingerprint or other lock to enable the private mode. Once you enable private mode you can move any content to private mode and those will be hidden in normal mode. To enter in to private mode again you need to provide your finger print or password again. 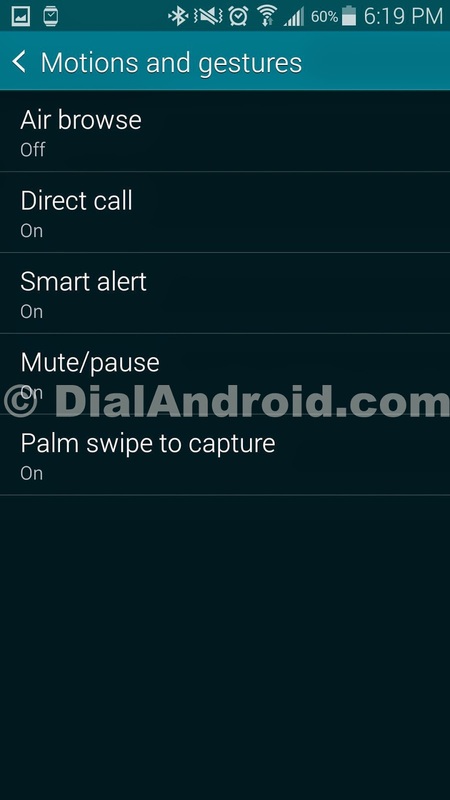 S5 feature some motion gestures which are - Air Browse, Direct Call, Smart alert, Mute/Pause and Palm swipe to capture to take screen shots. Remote view finder is a feature imported from Samsung NX cameras. 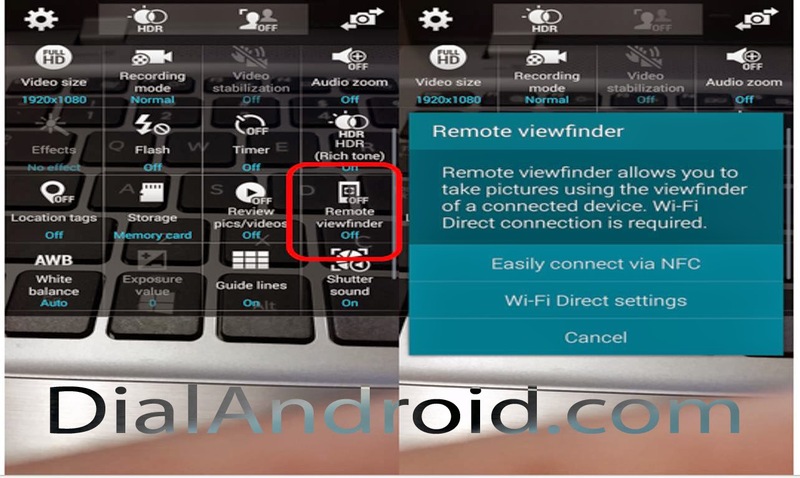 With this you can connect any other device via WiFi Direct and use device of new screen to view and press shutter button. Picture will be saved on your S5 only. Superb Right. This not something new, but very useful. You can directly go to Camera from Lock screen. Just Slide up the Camera icon on Right bottom. These features are new and really useful. You can take perfect portraits using selective focus. 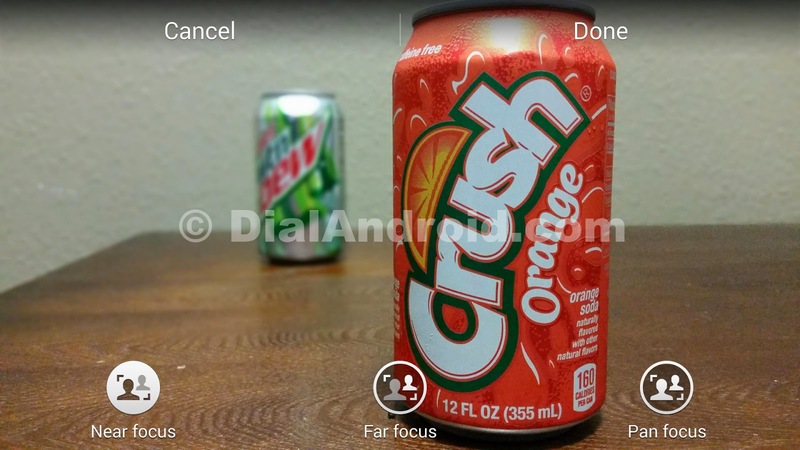 This will give you an option to make background or front blur to give more sharpness to main object. Something like Lytro Camera but here it is done digitally. See the samples below. 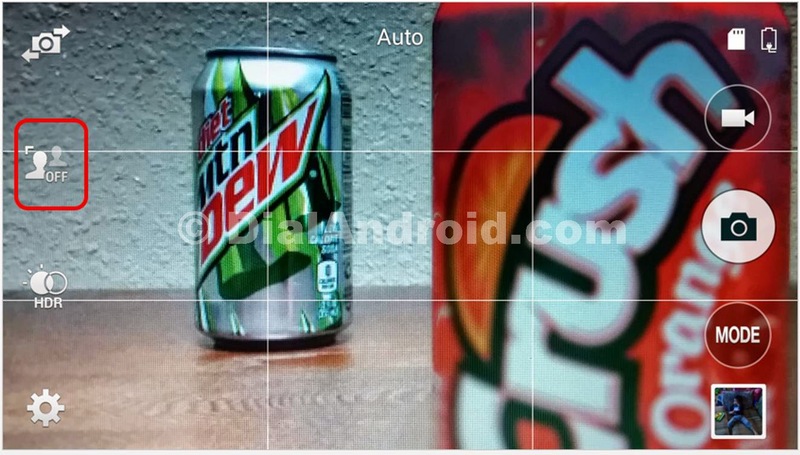 RealTime HDR is another addition to S5 Camera. You can see result of HDR in realtime. Forget about holding the device for a minute to see what you get.